The HX-DU1603D is a lightweight, ruggedized UHF receiver designed for digital radio communications between 410 and 470 MHz in either 12.5 or 25 kHz channels, which can be widely used in GNSS/RTK surveying and GNSS precise positioning system. HX-DU1603D is equipped with a Bluetooth transceiver for cable-free communications with external devices. Meanwhile, HX-DU1603D is equipped with a display screen, you can set the parameters by the button on the radio, which is easy to operate and use. 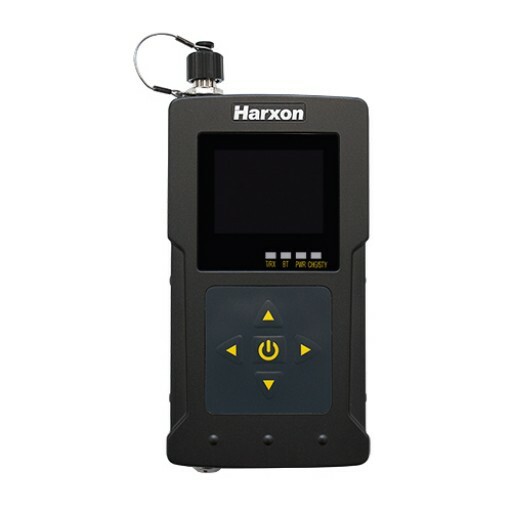 Bluetooth enabled: Cable-free communications with external devices such as GNSS receivers. Equipped with a 1.9 inches Display Screen: Support the frequency, protocols, power display, serial port baud rate, air baud rate, etc. display and switchover. 60MHz Bandwidth Coverage 410-470 MHz bands: Advanced data link design for high performance over entire band. Internal Rechargeable Battery: Capacity as high as 6800mAh. Configurable Transmit Power: Support for 0.5 w, 2 w power switching. Software-Derived Channel Bandwidt: Compatible with both 12.5 and 25 kHz radios.